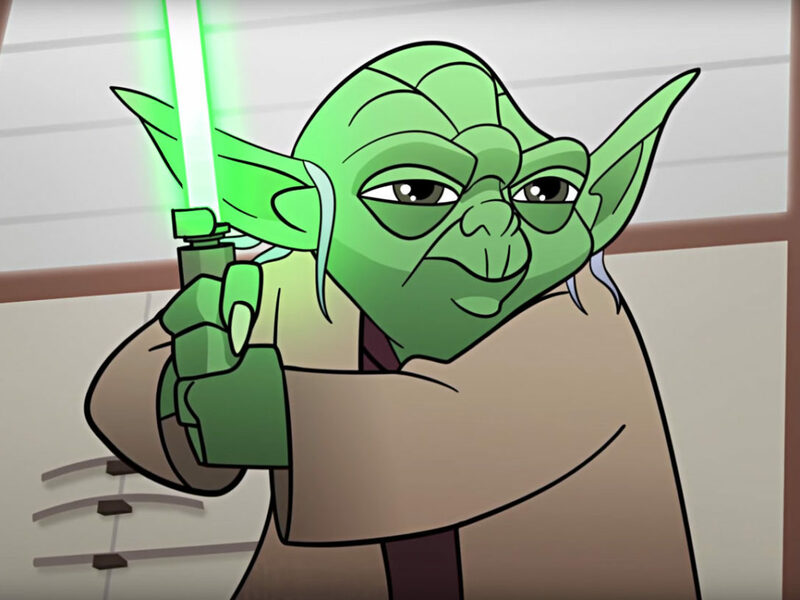 StarWars.com dives into the last four episodes of Season 2, featuring Luke, Yoda, Leia, Maz, and more! 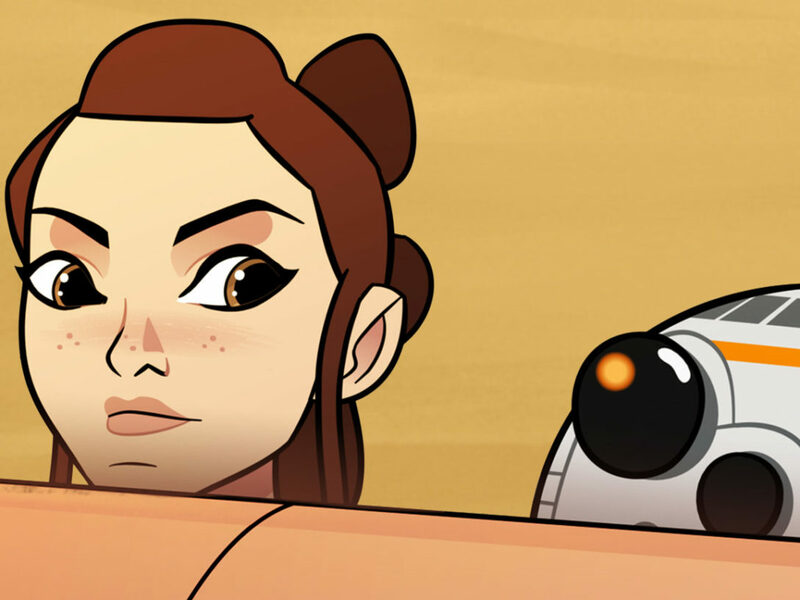 The new season of Star Wars Forces of Destiny animated shorts landed just yesterday, but we’re already over the moon — wait, that’s no moon! — for these latest installments, available now as eight mini-episodes on Disney’s YouTube channel. 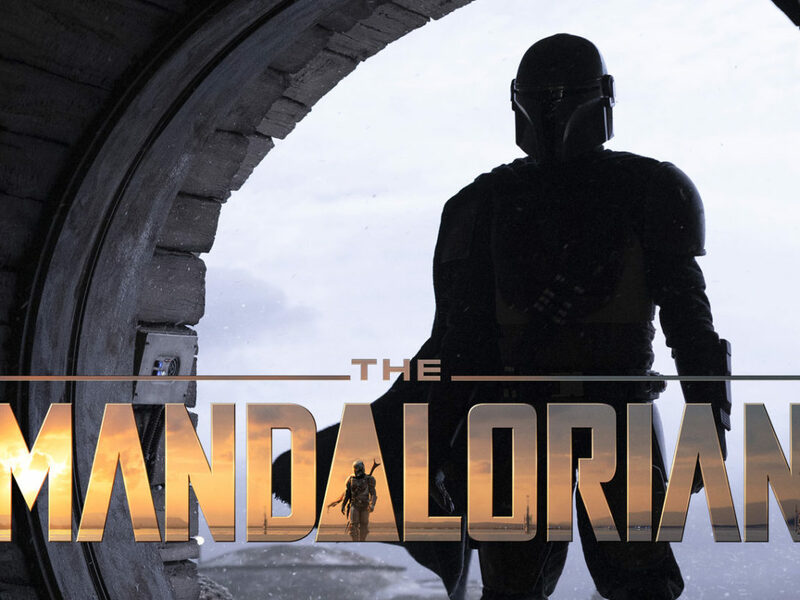 The series started out last year as a spotlight for some of the most beloved heroines in the Star Wars saga, but the second half of the season proves that there’s plenty of room for amazing aliens, problematic porgs, and even a former farm boy with a backpack to get in on the adventures. Scroll down to see the last four episodes and read up on our favorite highlights, quotable quotes, and memorable moments; each story deepens our understanding of the heroes we already know and love by giving us a glimpse at the smaller moments that shaped their characters. Then tell us what you think of the new season of Star Wars Forces of Destiny, which will debut on the Disney Channel in a TV special Sunday at 9:50 p.m. ET/PT after the broadcast premiere of Zootopia. A scavenging mission inside a badly damaged Star Destroyer gets complicated when Rey is cornered by a rival. This salvage operation is reminiscent of the first time we met Rey in The Force Awakens, especially when the makeshift door slides away to reveal the Jakku orphan’s signature eyewear. 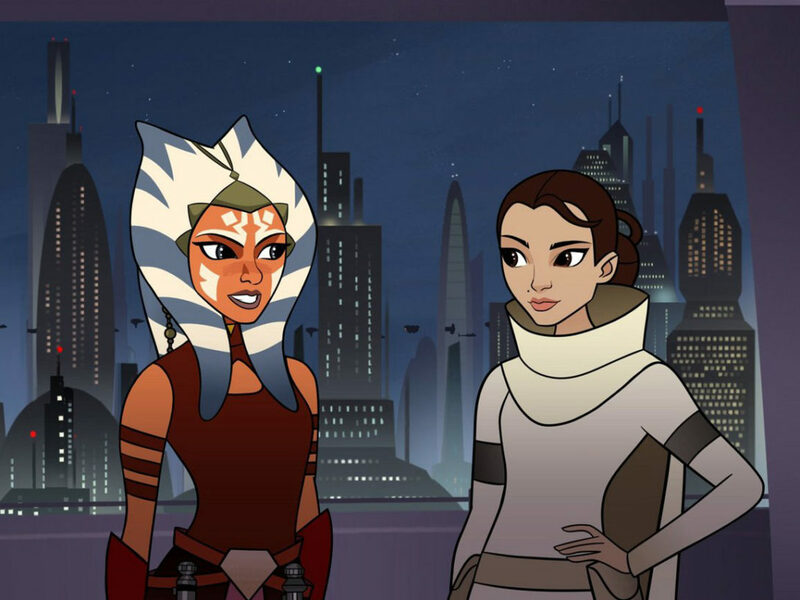 Having the multi-talented Daisy Ridley back to voice the heroine is also a plus. That sly reptilian is always trying to find the easy way to a payday, and can’t resist the temptation of a prized part even when it threatens to bring the whole Star Destroyer tumbling down around them. Leaving Teedo trapped just isn’t Rey’s style, but slinging the fellow scavenger over one shoulder and making a daring dash for the door that saves them both definitely is! We’re all fine here now, thank you. And it’s a thankless task. Despite her heroics, Teedo tries to make off with Rey’s pack and her precious parts as soon as they’re back on solid sand. 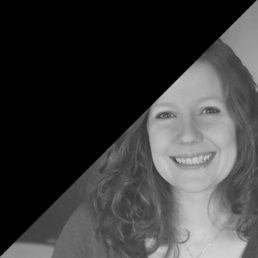 Ultimately, she wins the argument, but we doubt Teedo was saying “thanks” when she yelled out “You’re welcome” and sped off. We always wondered where Leia found her bounty hunter disguise in Return of the Jedi. Thanks to this short, we now know securing the armor and hatching the plan to rescue Han from Jabba the Hutt required a little help from Maz Kanata, Chewbacca, and R2-D2. 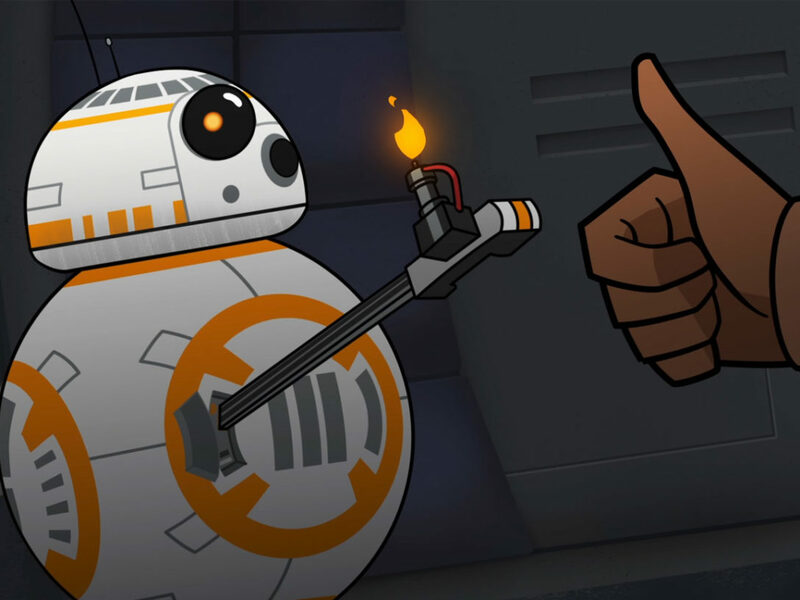 It’s a joyful reunion between clever Maz, once again voiced by Lupita Nyong’o, and Chewbacca. “How is my boyfriend?” she quips. And as a bonus, she finally gets a good look at the eyes of the woman Han has told her so much about. After living over 1,000 years, Maz has seen some things and she seems none too surprised that Han has gotten himself into another fine mess. 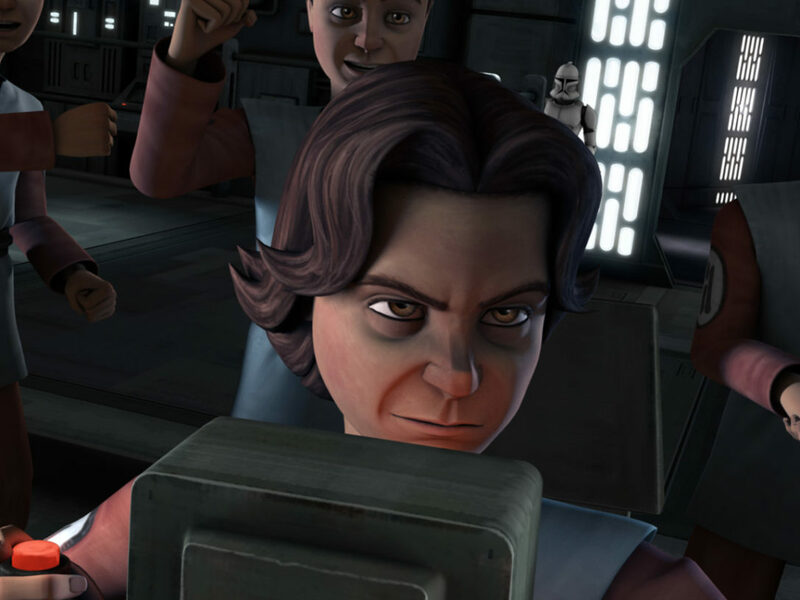 Because he’s holding a thermal detonator! But the solution to their problem presents itself in the form of the petite Boushh, who is my kind of scum. After a feisty firefight and some help from the whole crew, the fearless and inventive bounty hunter is subdued and Leia is on her way to Jabba the Hutt’s palace. Tell Han she’s a keeper. Now we understand why Master Yoda ended up tucked into a backpack and directing Luke Skywalker through the swamps of Dagobah during the training montage in The Empire Strikes Back. Return of the OG Jedi. Mark. Hamill. The man who gave life to Luke Skywalker makes a triumphant return to voice the character we’ve known and loved for over 40 years. It’s truly something special to hear. All his life has he looked away. 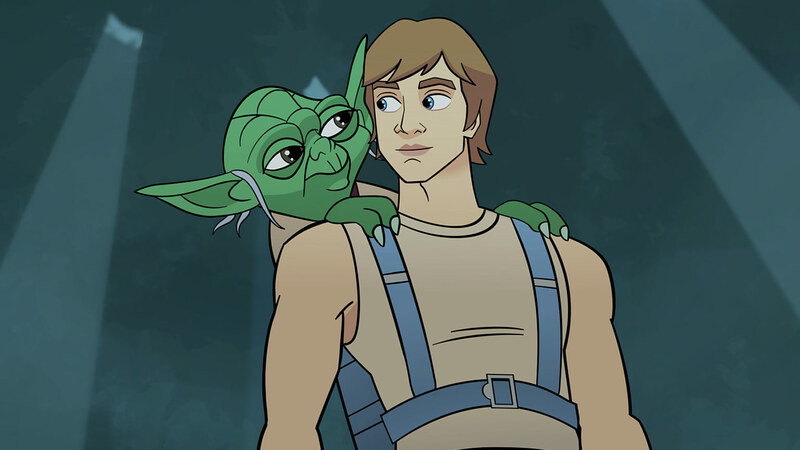 Yoda warns young Luke about getting ahead of himself, the way only the pint-sized Jedi Master can. Or in other words — Concentraaaaate! Forces of Destiny does a masterful job of evoking classic moments and lines. It’s not an exact shot-for-shot remake, but seeing Yoda upside-down in Luke’s backpack gives us a major flashback to their mischievous first encounter, when he went rummaging through Luke’s gear for a lamp. When 900 years old you reach, be as enlightened you will not. 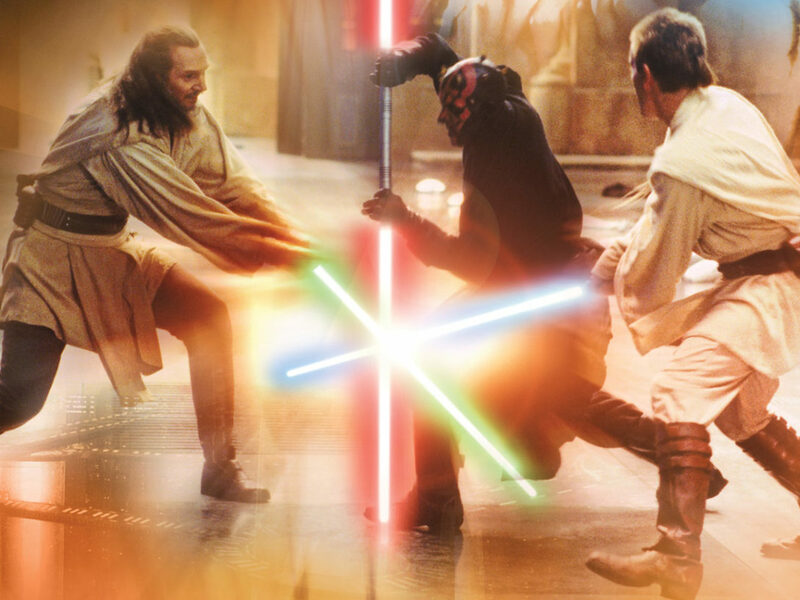 Master Yoda’s teachings go far beyond his wise words about forging a path. He also shows a tremendous amount of trust in the Force, and Luke himself, as they go sprinting, swinging, and ducking through the trees. But when they fall, he doesn’t swoop in to save the day. The greatest teacher, failure is, and Luke will have to learn how to become self-reliant. Back on Ahch-To, Rey’s meditative rock stacking is interrupted by the buzz of an igniting lightsaber and a gaggle of adorable but mischievous porgs. If you thought these native birds were charming in The Last Jedi, prepare to squee your way through this entire short as they waddle, wide-eyed and squawking, straight into your heart. It’s not about lifting rocks. Rey uses the Force to stop one porg mid-flight for a classic bit of physical comedy worthy of any beloved cartoon hijinks that leads, naturally, right off the edge of a cliff. Honestly, it’s a laugh-out-loud moment as the little bird looks around confusedly and flap, flap, flaps to freedom — to no avail! Luke’s lightsaber isn’t exactly calling to Rey this time, but she does manage to rescue it from the maw of her thieving little friend. I know, I know. You’re thinking, “Wasn’t that also the first highlight?” But look how cute they are with their little wings outstretched like Rey is their queen or, perhaps, their mother. The fan-favorite creatures are too cute not to mention twice.